High Pass sharpening does an excellent job of bringing out detail and it’s my favorite tool for architectural shots. High pass sharpening also allows you a lot of visual control of your sharpening. How the sharpening is applied and even where its applied can all be controlled and adjusted non-destructively after the fact, with real time visual feedback. High Pass sharpening can be very strong and very powerful. This is important to keep in mind because it is very easy to over sharpen your image, especially in areas with very fine details or textures. 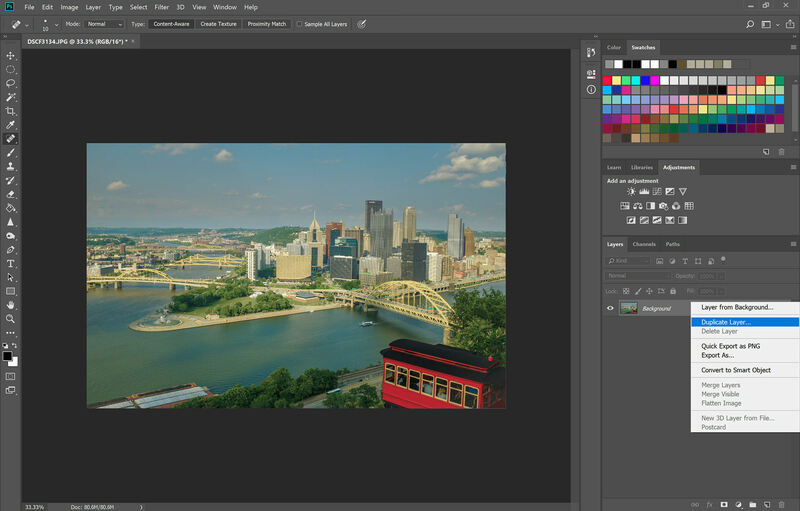 To get started with high pass filter you need to open your image in Adobe Photoshop. If your image contains multiple layers you will need to flatten the image. Next duplicate your image layer. 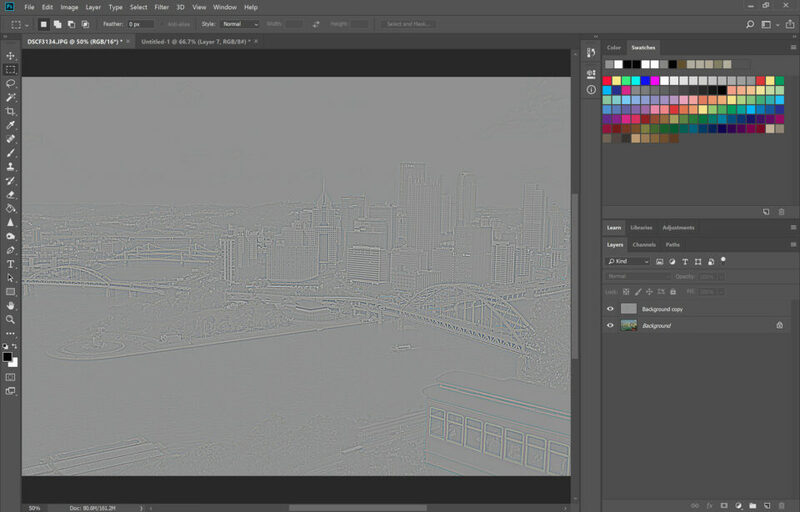 Step 1: Duplicate the image layer and make sure that the top layer is highlighted. The High Pass filter is an obscure filter buried under the “Other” sub-menu of the Filter menu. It’s generally overlooked and if you’ve ever experimented with it you may have ended up with some strange results. But now we are going to put it to good use in this sharpening process. Make sure the top layer is highlighted and select the High Pass Filter. Step 2: Select High Pass from the filter menu. The next step is to select the radius value for the High Pass filter. The radius value is somewhat subjective but something you will get a feel for with practice. The correct radius value will allow you to see the detail and edges of the subjects in your image. But the line will appear thin and embossed rather than thicker like an actual outline. Step 3: Select the radius value for the Hight Pass Filter. Radius Value of 2.0. This value is too low. The edges of the objects are difficult to see and not all of the detailed areas are visible. A radius of 4 is a good general starting point. 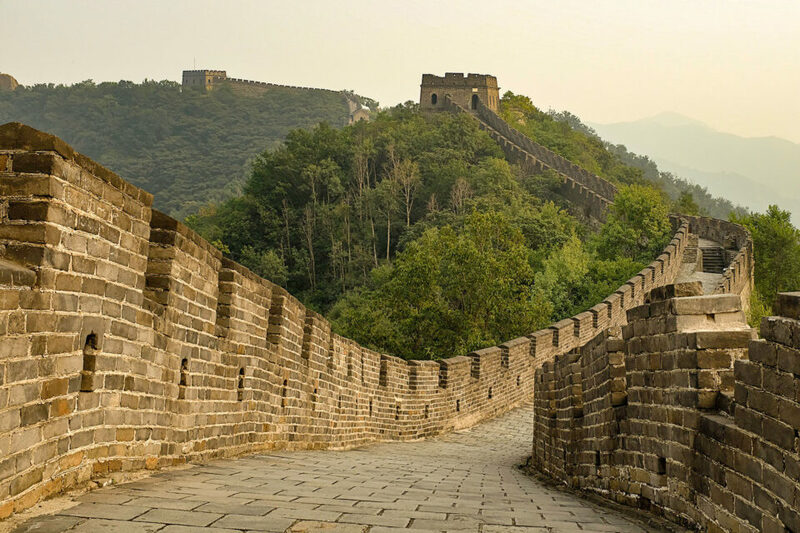 You will find images with very fine textures and large flat areas, or images of people may need a smaller radius. Images with larger textures and architectural images may be able to stand a slightly higher radius. Radius value of 6.4 This radius value is too large. The edges appear thick, like someone traced the outline, rather than embossed, and areas with smaller details start to become muddled. There is a range of acceptable radius values. Sharpening itself is somewhat subjective and you will still have some additional control over the sharpening after the filter is applied. If in doubt, choose a smaller radius over a larger. As we proceed through the steps if you find that your image contains white fringes or “halos” then it is a sure sign your radius is too large. A radius value of 5.2 is selected. This allows all of the detail to appear, but the edges are still thin and embossed in appearance. Once you have the radius selected click “Ok” to apply the filter. Make sure the top layer (the one with the High Pass Filter applied) is highlighted, then change the blending mode to “Overlay”. If you are happy with the result then you can stop here and enjoy your sharpened image. 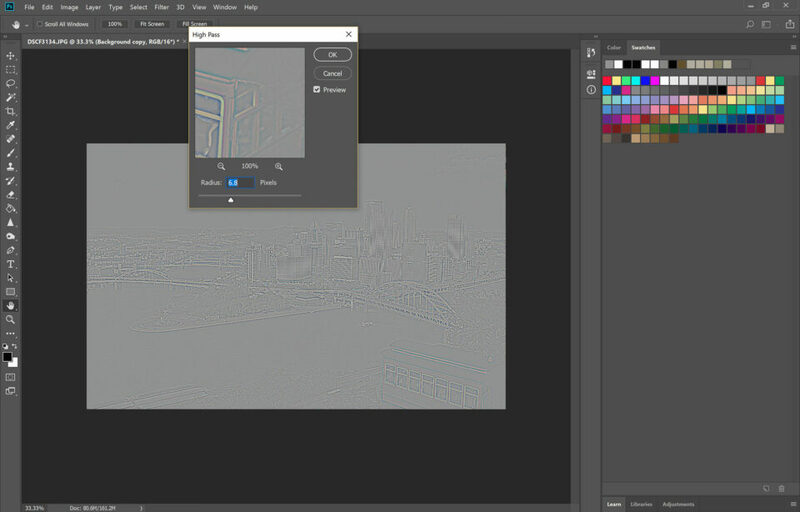 You can toggle the layer on and off (using the eye to the left of the layers thumbnail image) to better see and evaluate the effect of the sharpening. Look for too much contrast or for white fringing that signal an over-sharpened image. 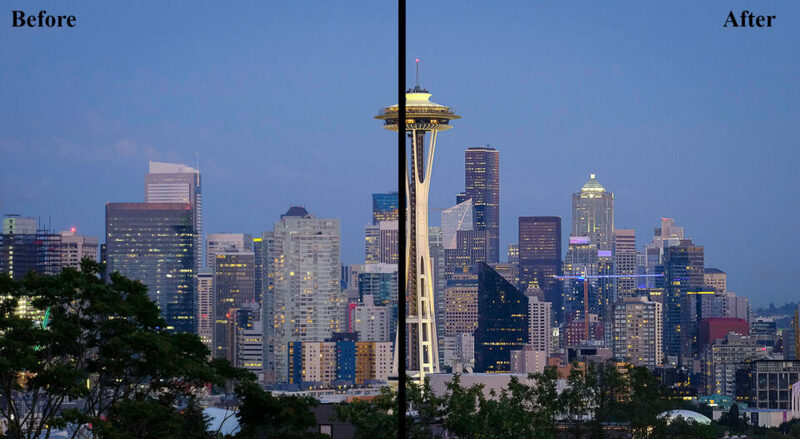 Final image before and after. The sharpening effect is especially visible in the buildings and the bridges. If your image appears over-sharpened and you want to reduce the sharpening effect you can simply reduce the opacity of the High Pass layer. This will work unless the problem is that white fringing as discussed earlier. That is caused by using a radius that is too large, and the only way to fix this is to go back and start again with the High Pass Filter set to a lower radius value. If you are having trouble selecting a radius value, you can reverse steps 2 and 4. 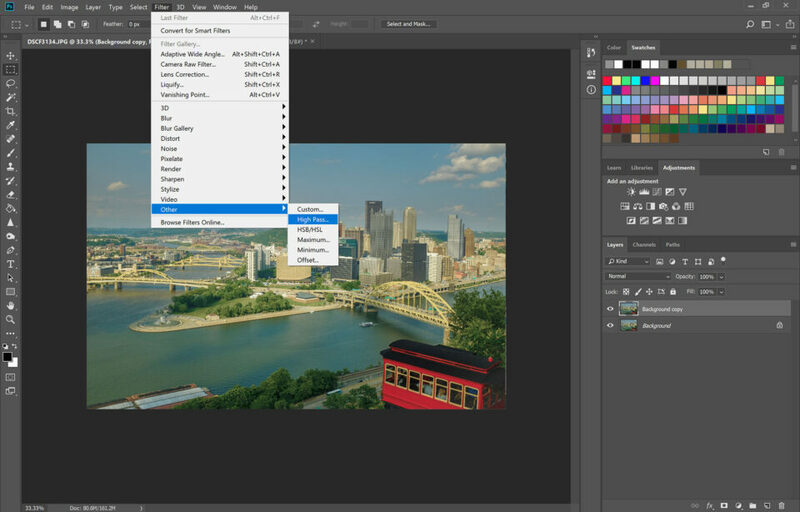 Changing the blending mode to “Overlay” before applying the High Pass filter will allow you to preview the sharpening effect while you adjust the slider to select your radius value. You can try setting your blending mode to Soft Light instead of Overlay. Soft Light creates a more subtle and lower contrast sharpening. 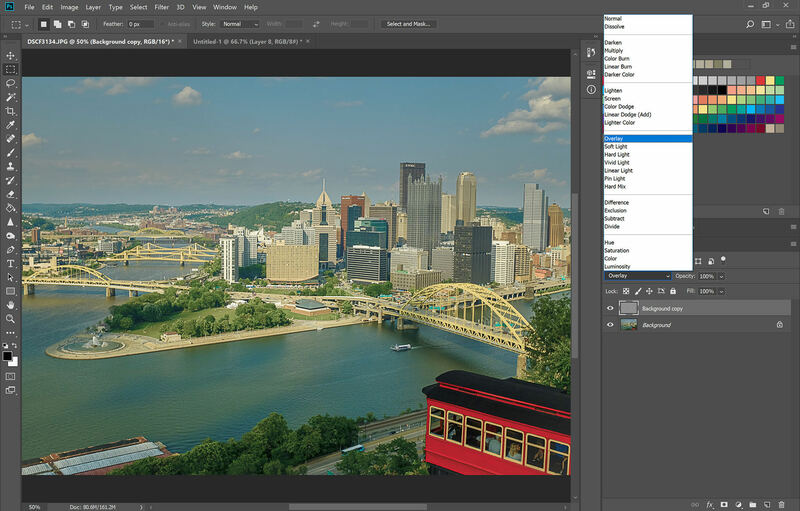 You can add a layer mask to eliminate or reduce the sharpening in certain areas of your image. Here I lowered the radius value to 2.3 and changed the layer blending mode from “Overlay” to “Soft Light” for a more subtle sharpening effect. High Pass sharpening is a fairly simple process once you are familiar with the steps. It works especially well on architectural images and cityscapes, although I have used the process successfully on many different types of images. If you have tried this method of sharpening I would love to hear your thoughts! Changing the newly copied layer to a smart object prior to applying the High Pass filter will also allow you to meet dynamically make changes to the radius size if you want to adjust the results! Great suggestion! I will have to try that. It is worthwhile to point something out. After you create the Background Copy layer, set it to Overlay mode. Do this BEFORE you create the High Pass filter. This allows you to see the effect of the HP filter by varying the Radius size. Good suggestion- I mentioned this later in the article (in the section on adjusting the sharpening) and It works well. I have found that once I got used to how the high pass filter should look when the radius is correct, it’s actually faster to set the radius without the layer set to “Overlay” (the gray embossed look makes it very easy to see how thick the outline is, which I prefer) but I may be in the minority on that one! I agree the high pass filter is a great sharpening technique. I would say one thing, with regards working non-destructively I would not recommend flattening the image in the first step but rather use the “apply image” tool from the menu to create a duplicate of all the layers onto one new layer. That way if you later want to make changes to your image you can do, whereas with the flattened image that would be very difficult to do. But a good article on making everyone aware of this hidden sharpening method. 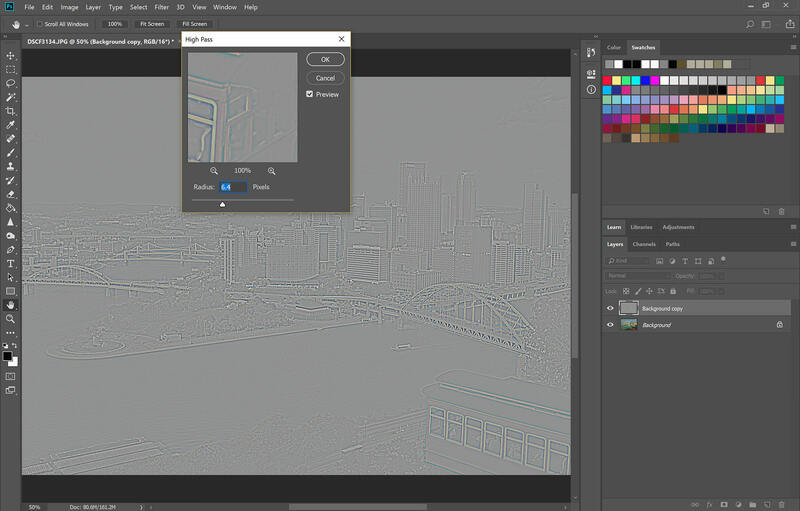 FYI – You can also use this technique for blurring if you Invert the duplicate layer. I also use this way of sharpening, but what it does in a way ; it turns a continu tone photo into a staccato drawing. Sharpness is important, but like all sharpning methods this one too has a downside. If i use it, I never use a radius more than 1 pixel and start at 0.3 to enhance mine. 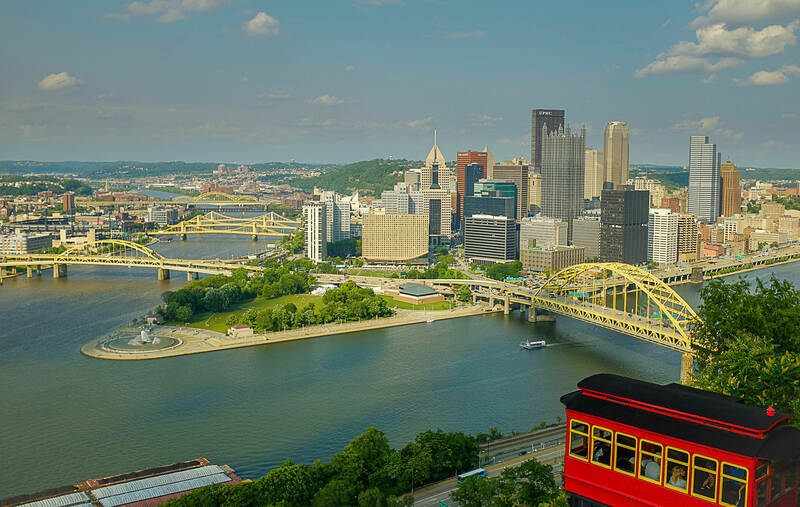 Thanks, these are the kind of articles I like to see, those that help me improve my photography, my post-processing, or learn about new or useful equipment. I routinely use the lens reviews and comparisons when considering a new lens. I don’t particularly care for the how to shoot this or that location. Cool! and it works fine in Gimp too. You’ll find the high pass filter in Filters, G’MIC, Detail. Great video. I practiced by taking a picture of my grandson playing baseball. I followed all of your steps and noticed two things: 1) The sharpening effect of his face and name on his jersey was FANTASTIC. However, it seemed to introduce noise to his baseball cap and rest of jersey. Easy fix as someone was alluding above: I simply added a mask, hit Control I to invert, insured the foreground on color was set to default, i.e. white foreground with black background, switched to brush and then simply painted in the sharpening to his face and lettering on jersey. Again, thanks for great tip. I use another method. Convert the desired image temporarily to Lab Color Mode. Then select only the Lightness Channel e.g. diasable the other channels Lab, a + b. Apply an unsharp mask to your needs. After that select all channels again and convert the image back to RGB Color. Great article Meg. I use Affinity photo, and exclusively use high pass sharpening. For affinity, the radius works well between 0.5 and 1, and I can then experiment with 4 different blend modes – Overlay, Soft light, Hard light and Linear light. Linear light gives most sharpening and soft light a more subtle one. I am unable to distinguish between overlay and hard light. I’ve been a photographer for 5 years but have never ventured outside of Lightroom. So I have a possibly dumb question. Is this type of PS High Pass Filter sharpening done after any other type of sharpening, as a refining step? Or can this be the first- and maybe last- sharpening step? I have a little dilemma – I just had a good try of this overlay / high pass system on NEF’s from a D810, a lighthouse with blue cloudy sky set on rocks with some grass and sea. Here’s the thing, loading into ps without sharpening makes the start image a bit too soft and the process doesn’t quite sharpen well. 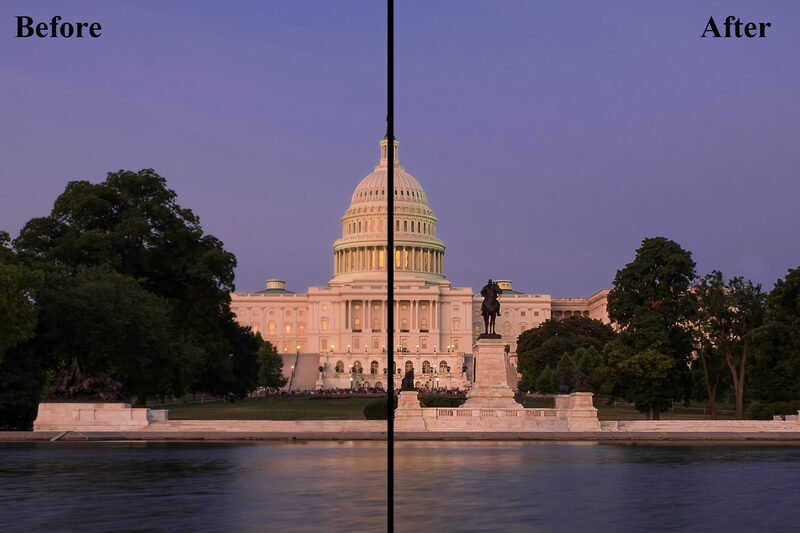 If I move the camera raw slider a third across from the left before opening in PS I find the start image perfect, and the process really makes it pop – but in this case, the background noise is showing up. Cranking the noise down with the ps filter puts the sharpness down too. The shot was 64 iso in bright light with a good lens, and had no inherent noise. It only shows up with the process, when I’ve pre-sharpened a little in camera raw. If I don’t pre-sharpen, the results are not as good as if I had just used the Camera Raw sharpener anyway. on its own. I am only setting the high pass to 0.3 pixels but I have tried moving it along to 1 in stages with no real luck. I’ve always used this method and I have almost alwasy happy with the results.